Just drove in and out the Steel. Only a few parties at the Springs, a rear wheel drive van and a subaru had come in Lipincott and were headed back out that way. 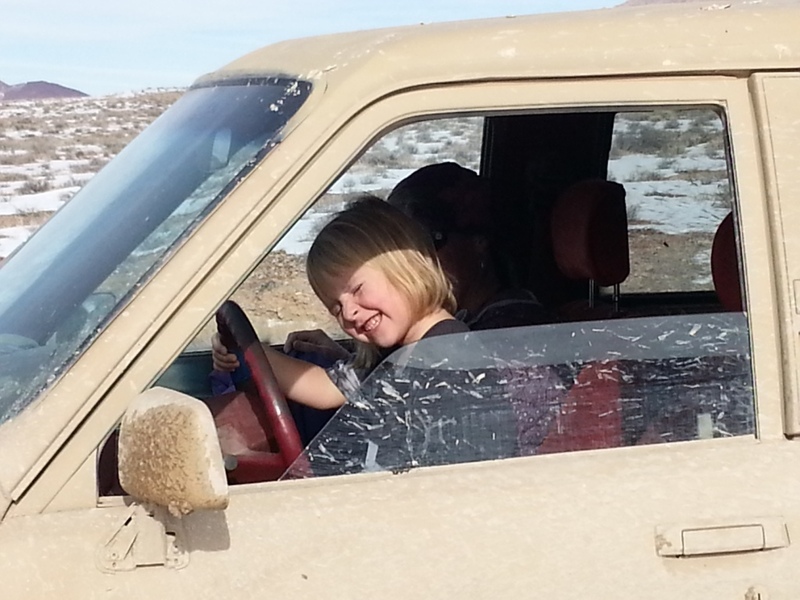 Gotta include one of my co-driver! As of 1-28 steel pass was smooth. The end of the wash, before the marble tub, was much smoother than last time I did it. There was some snow on the top before the staircase. I had no issues in a stock first gen tacoma. Crossed Steele on Saturday, 1/14/17. Road was in average shape, but the rock staircases seemed deeper and steeper than in my memory (am I getting soft?). It was a challenge to get my full sized dodge through some of them, but we did without a scratch. Drove over Steele Pass less than a month ago and right after a bit of snow and rain. I had driven out the same way a month before that and nothing much had changed. 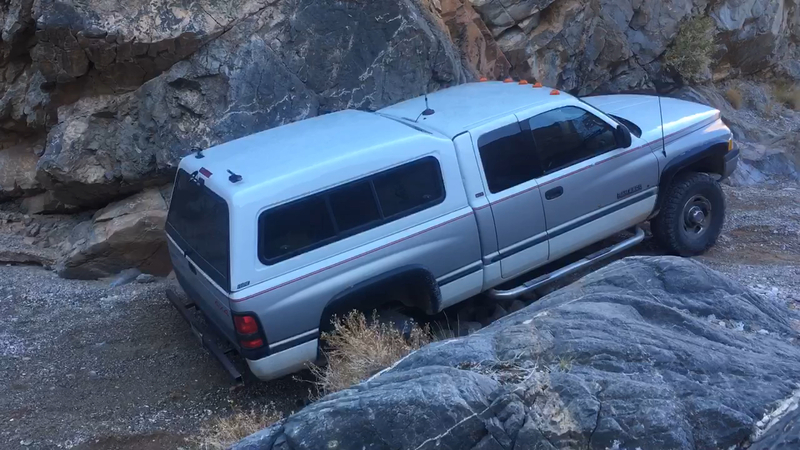 Expect some minor route finding for the first few miles above the springs as the wash can trick those not paying attention and lead you up a dead end. If it starts to get really tricky and you don't see tire tracks or an obvious route turn around and look for the path most travelled. 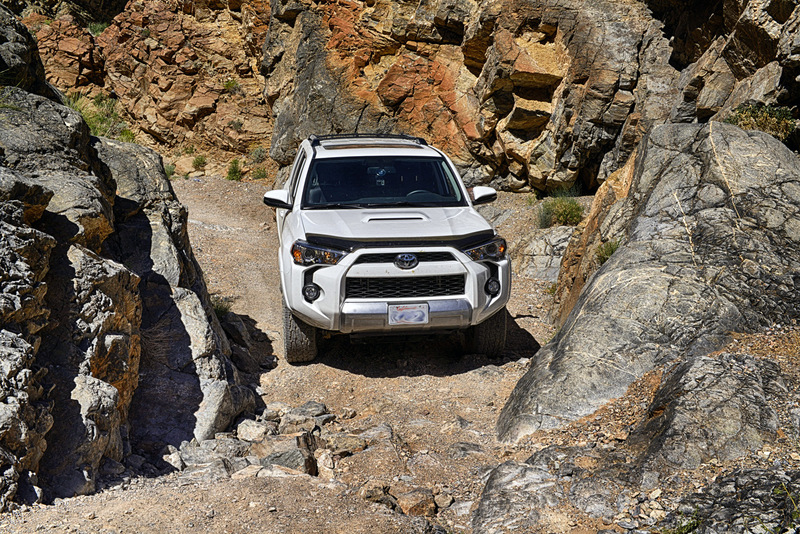 The crux is about a mile below the pass and is a rock garden that would be tough to navigate in a long wheelbase truck. I have a 4 door Jeep Rubicon and it was a breeze with the diff locks in that section, it's doable without lockers but just expect your wheels to spin a bit, go slow and gear low and you will be fine. The only other crux is the steps in Dedeckera Canyon before the dunes. Same thing, slow and gear low and you will be fine. A word of caution in this section is if you have a shell or camper you may hit the wall if you don't pick your line right. Drove the pass N to S on 12/30. Easily passable, no extreme problems. some technical skills required for Dedeckera canyon but nothing extra ordinary. 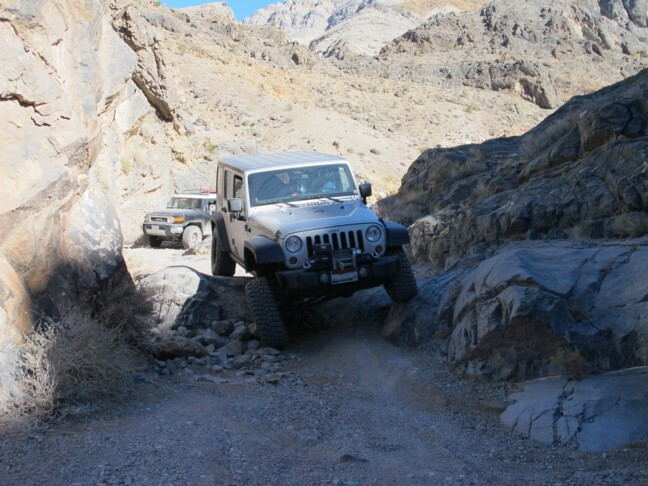 took 9 rigs over Steel Pass Soth to North over the Veterans day weekend. nice and clear no obstacles of note. 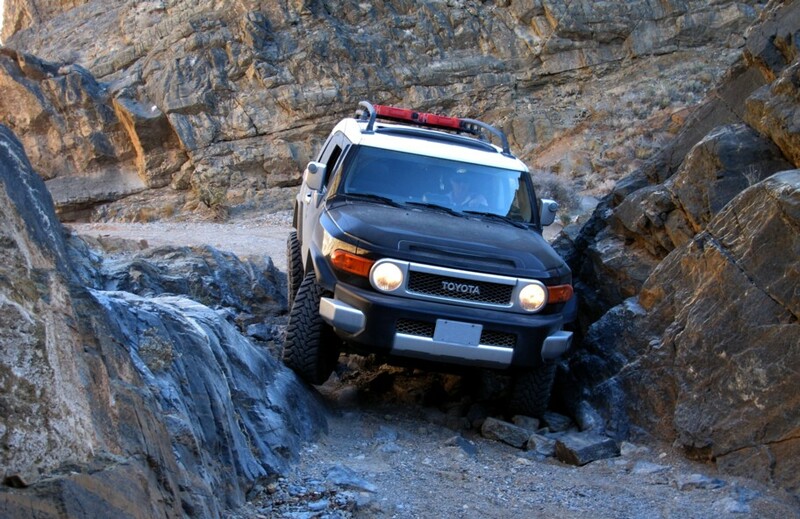 There are a couple of areas that you need to be careful going around some washed out sections, but not difficult. Also, there are two section that have some big holes from people spinning tires on. 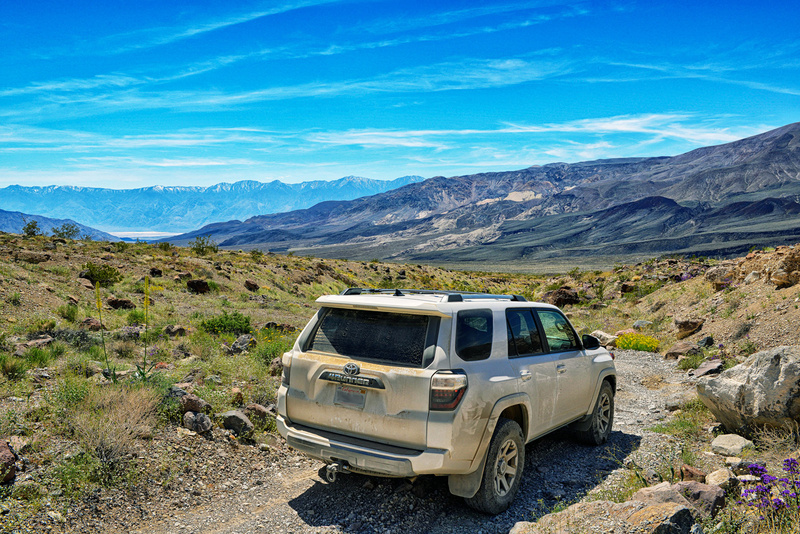 The bottom to Saline Road is rocky and the washes can change and be a little tricky. 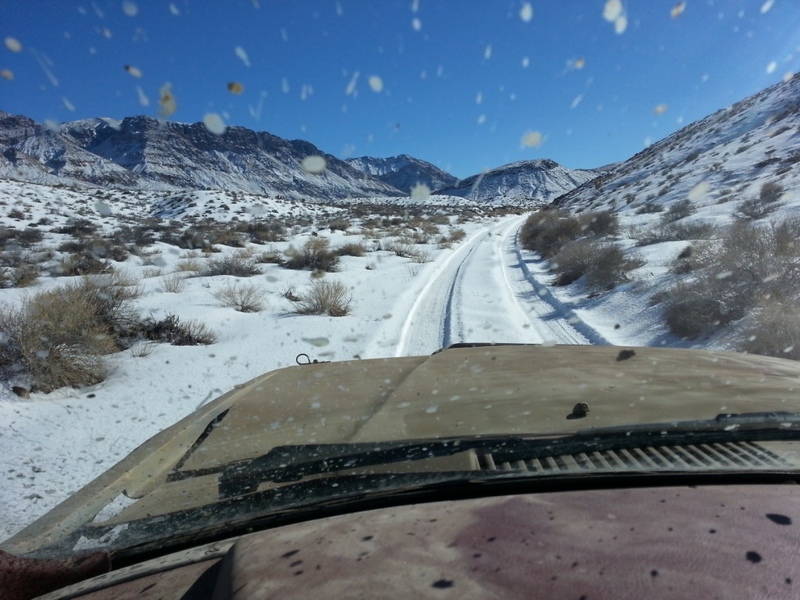 Overall, not difficult for "Well prepared rigs"
Here's a report I got from our friend, Mitch. Sounds like Steele Pass Road got hammered again. tire tracks all over up there until a single route is established again. 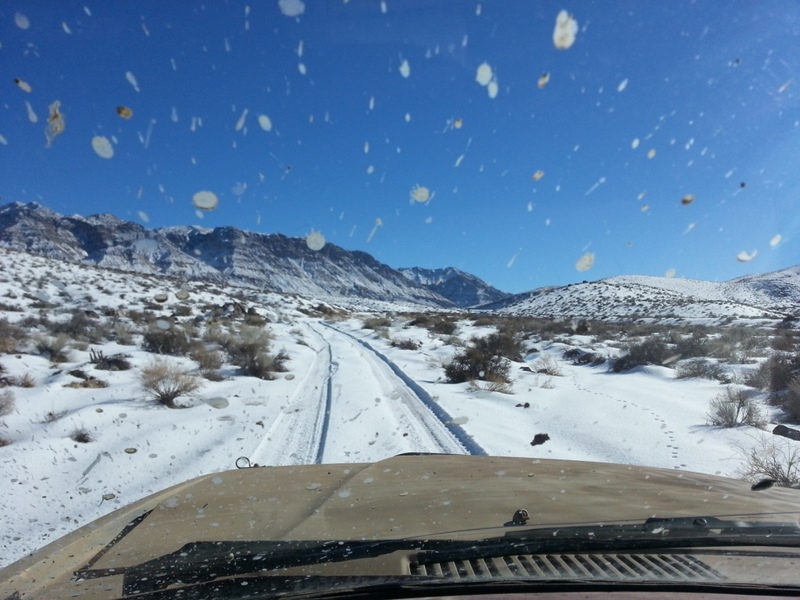 The north eastern sections of Saline Valley toward Steele Pass received significant amounts of rain on the night of the 1st of July 2016. Lower and Palm Spring were flooded but not severely, see https://www.flickr.com/photos/patrickkirchmann/sets/72157670677855626 4mi of the Bat Road closest to the springs washed yet remain in drivable condition. North and South Pass were unaffected as of 07/02/2016. Steele Pass Road north of the Upper Spring seems to have washed severely though as the storm was ragging there and in Eureka Valley. 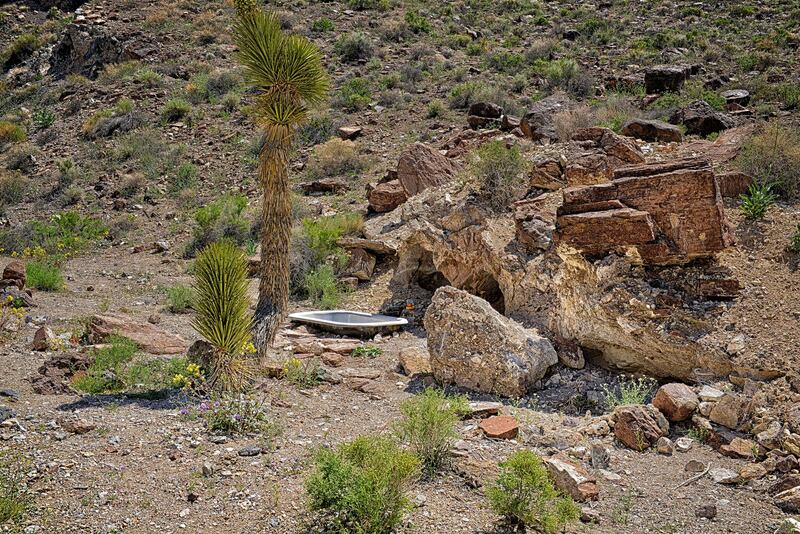 The washes were very active, the sound of boulders rolling could be heard all night. I did not venture up Steele and it promises to be an interesting drive. Look out for remains of a green Jeep Cherokee: three first-timers ventured up Steele only 1-2 hours before the storm hit - they did not return to camp that night or the next morning by 8am. Maybe they made it to the dunes? I came over Steele Pass on December 29, just after a snow storm the night before. The road through Dedecker had a few inches of snow and the section from the top to the springs had the usual tough spots. I would doubt very much that a Outback could make it without severe damage. BTW I was driving a stock Rubicon Unlimited. 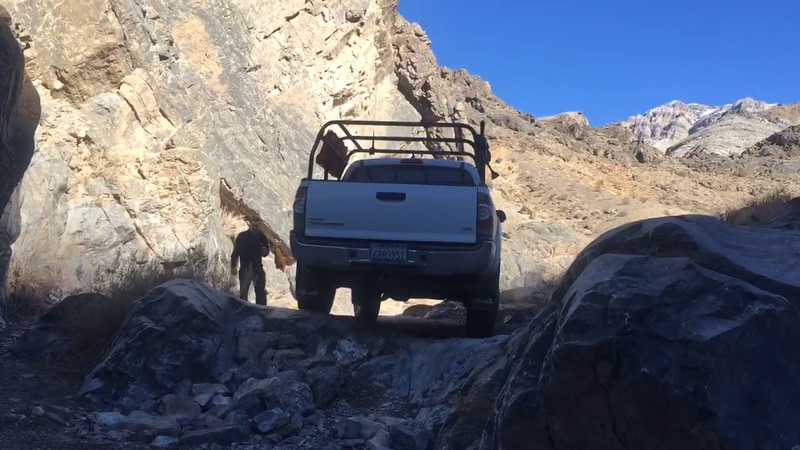 Went thru Dedeckera Canyon on 4/12. Steele Pass thru the canyon was in good shape. It looks pretty much like the images posted. Very slow going all the way to Middle Springs. Took us about 5 hrs. We made stops along the way to take pictures. Lots of wild flowers. We did the Steele Pass route from Palm (Middle) Spring to Eureka Dunes on 1-18 in a modified Jeep, FJ and Tacoma. The first 8 miles or so from the springs was miserable--rocky, many turns and washouts. Steele pass was in good shape. After the Pass the road got much better. Dedekera Cyn was in good shape (see pics) and was easy, as was the rest of the route. It took about 2.5 hrs to get to the dunes. Please post any up to date information on Steele Pass in this thread. Anything older than 30 days will be subject to deletion as we go along.